A couple years ago my dad gave me a pineapple plant from his back yard and it's finally producing! 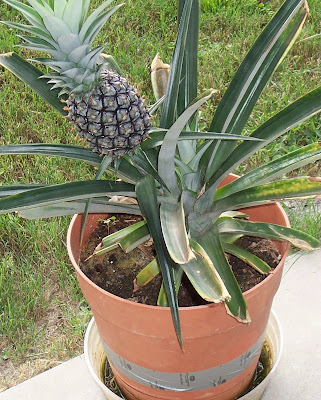 I never realized how long it takes for one pineapple to grow. No wonder they're so expensive in the stores. I just hope it's sweet!